Brother Jesse Blog: We are Jordan Davis, but what are we going to do? We are Jordan Davis, but what are we going to do? 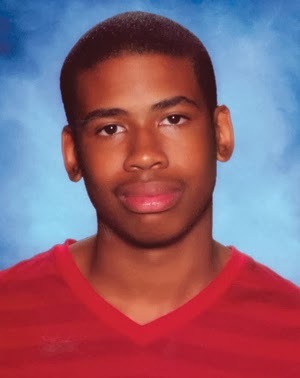 (FinalCall.com) - The horrific thing about the failure of a jury to find Michael Dunn guilty of murdering Jordan Davis is that it is not surprising. It may be outrageous, maddening, disgusting, infuriating and racist but unsurprising that a White man could kill an unarmed Black teen and not be held accountable. A Black male has no rights a White man is bound to respect—not even the right to listen to music. Mr. Dunn, an unrepentant killer, will face a judge March 24 to hear when a sentence for his attempted murder conviction is scheduled. He fired some 10 shots into the vehicle that contained Jordan and three friends after a dispute over music. His conviction for firing shots at the fleeing vehicle will likely be appealed, but he faces 60 years in prison after the jury verdict. Prosecutors say plans are to retry the 47-year-old on charges of murdering Jordan, 17, who was shot to death in a parking lot. A jury announced Feb. 15 that it was unable to reach a verdict on the murder charge. Mr. Dunn testified that he saw a gun barrel, or something threatening aimed at him, after words were exchanged. He reached into his glove compartment, unholstered a hand gun and fired shots, killing Jordan. No weapon was found in the vehicle. No videotape showed a weapon. No witness saw Jordan get out of the vehicle. No provable fact showed Mr. Dunn was threatened. Yet someone in the jury room had to believe the defense team’s fairy tale of a mystery weapon. It was only believable because America sees young Black men as vicious and dangerous thugs. They had to have a weapon. They had to do something; the death had to be justified. But while legal strategies, Stand Your Ground Laws that allow you to shoot first, and questions about the ability or inability of Florida prosecutors to properly try cases in which young Black males are victims may be interesting discussions, they aren’t enough. The reality is Black youth, Black males, Black children, Black men, Black women and Black people are besieged in this country.